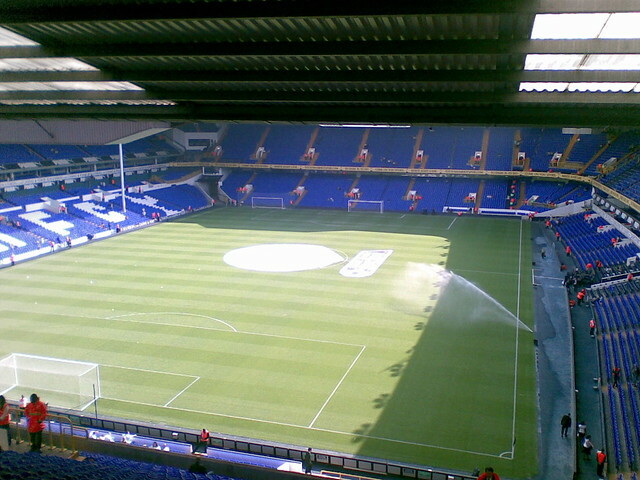 Today Harry Redknapp has walked out of Tottenham Hotspur after money and contract disagreements with chairman Daniel Levy & has today appointed rookie Corey Eaton McKnight who before hand took Hayes & Yeading United to the Premier League but then had a dreadful second season which led to him getting the sack , Then joined Norwich in the championship. He said to Sky Sports , ESPN , BBC , ITV , FootballItalia , FutbolSpain & FussballGermany " This is a great great opportunity to relive my managing career and I will aim for the highest possible with this club with the funds available to spend I won't be afraid to spend it on big names, I'm already in talks with Adebayor to make his deal permanent so that it saves it all at the end of next season. 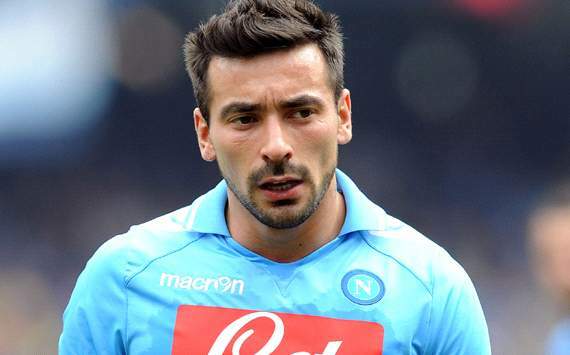 I'm also in talks with many big name players like Lavezzi. Torres unfortunately rejected us , I would of loved to have him at our club he is a brilliant player and work ethic rate is brilliant. His scoring record recently hasen't been very good but I'm sure if he joined us it would of improved"
Tottenham sign Ezequiel Lavezzi and Emmanuel Adebayor for a joint fee of £53 million but have sold Gomes , Lennon , Defoe , Kranjcar , Bentley , Van Der Vaart , Kaboul , Modric , Dos Santos Huddlestone as new manager Corey re builds his new season squad. New manager Corey has replaced striker Jermain Defoe with Napoli striker Lavezzi joining Tottenham Hotspur for £24.5mil also they extended Adebayor's loan stay into a full time contract costing £28.5million. Both said " We are delighted to join this very ambitious club and we hope for much success here with our new boss"
"Training has so far gone well for us and we have adapted to our new players very well too". Good start here FMG, hope you can continue this and keep us updated regularly. Manager Corey Eaton - McKnight has confirmed that another 9 players have joined the club and one joining at the end of the season. 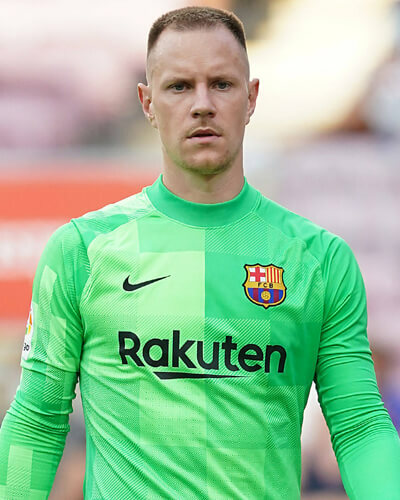 Manager Corey said I needed a keeper I wanted Marc-Andre ter Stegen (Below) But he is only 19 right now so it is a huge step up playing week in week out from the Bundesliga to the Premier League so for now I have brought in Hugo Lloris for £28million" , " He is a world class keeper at the highest of standards and has showed it in every game he plays so I hope he keeps a few clean sheets for us and get us to my aim of winning the league. Very good signings Corey, you should be able to dominate the English football system, and Europe with the squad you've assembled thus far. spurs fans have angered out at manager corey as bale was sold to man united for a £150million. A angry fan said to a spokesmen " this is a joke we are supposed to be league favourites but we are struggling in 7th or 8th in the league and we have been playing bad recenlty champions biggest joke ever"
Some crazy money being shipped around the club, smells like tuna if yanno what I mean! Corey Eaton McKnight has brought back the FA Cup to Tottenham's territory after finally beating their bogey team Liverpool 2-0 in the cup final , Fernando Torres scoring both goals for the London club. It could of been more for Tottenham though they dominated Liverpool in all departments MOTM Torres said (IN SPANISH) " Estuvimos brillantes en el campo hoy y mostró nuestra clase, espero que podamos mantenerlo para la nueva temporada de puntuación dos goles fue brillante buti podía de tenía objetivos más un trofeo de la primera temporada es siempre una buena vista de un equipo de fútbol de un equipo especial al igual que el Tottenham." And what does that Spanish mean? I don't know a word beyond hola amigo :L Great Photoshop skills to go along with a great start FMG, KIU & GL! Tottenham chairman has had enough of Corey Eaton McKnights terrible form recently so decided to toss the coin early in october and chuck him out of the door into the jobcentre. Levy said " Well well it was great seeing him win us a cup but the on field form was terrible we were virtually out of the Europa League he was losing patiences with the players and they were getting bored of the team always being changed and players being flogged into the team, We immediately found a replacement in Carlo Ancelotti who has so far has a impressive CV so I hope he can bring the class into London"
It then took me a year or so and a half to find a new job and then at about July 2014 the Swansea chairman gave me a ring said he thinks I can take them back to the premier league so now I hope I can " " With another few players being slashed out the door for you know what £150million..! ", "My CV isn't the best of one's in the world but with a national reputation it's good enough to splash some cash in league 1. " With a head that size he should be knocking in loads of goals. Anyway, good luck with Swansea, made some good signings, and some not so good I hope you do better with 'those' than you did with Spurs.